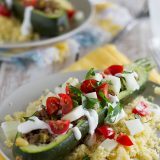 Zucchini boats are hollowed out and filled with ground beef, onions, and pine nuts before they are baked and then topped with yogurt, tomatoes and cucumber in this healthy dinner recipe. I think it’s pretty evident that I’m not ready to let go of summer yet. Just this week, I’ve talked about peaches, tomatoes, ice cream inspired cupcakes and now – zucchini. Really – there is still so much of summer left to love. And here in Utah, we’ll be enjoying lots of fresh produce for another month to come. Thank goodness, because come January, we are going to be thinking longingly for things like garden fresh tomatoes and zucchini. And…. I’ve gone healthy again. I know – 2 days in a row. I guess it’s to make up for those cupcakes and that cobbler. My motto is moderation in all things, after all! I went to make the zucchini boats, and as I started cooking, I realized there was no sauce in the boats. Or outside the boats. I will fully admit that I didn’t have high hopes for these. I thought they’d be dull and dry. The yogurt and the fresh chopped veggies over the boats added so much to this recipe. 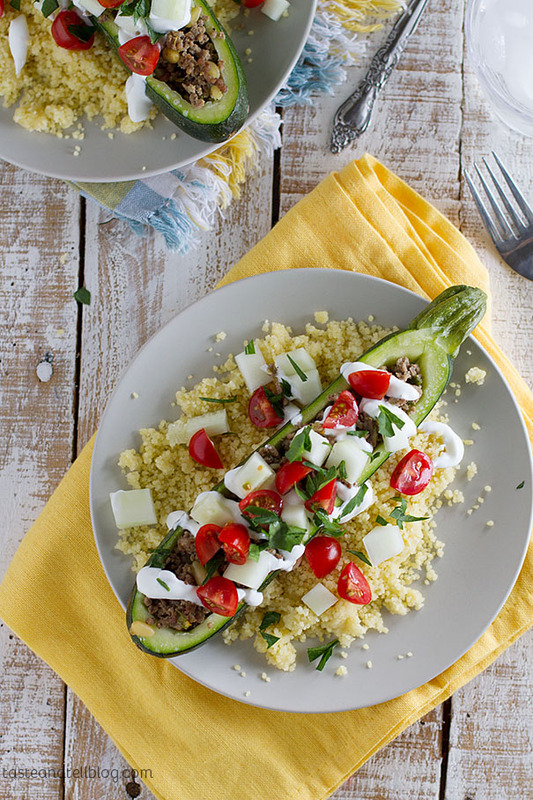 I almost called these Mediterranean zucchini boats with the pine nuts and lemon zest and couscous – they felt like they had a real Mediterranean flair to me. This was a dinner success. 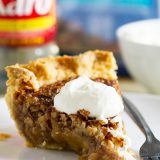 I couldn’t even finish my whole serving – it was that filling. 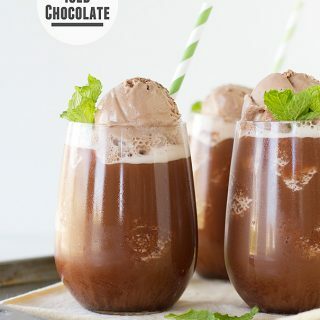 This is definitely a reason to keep celebrating summer! 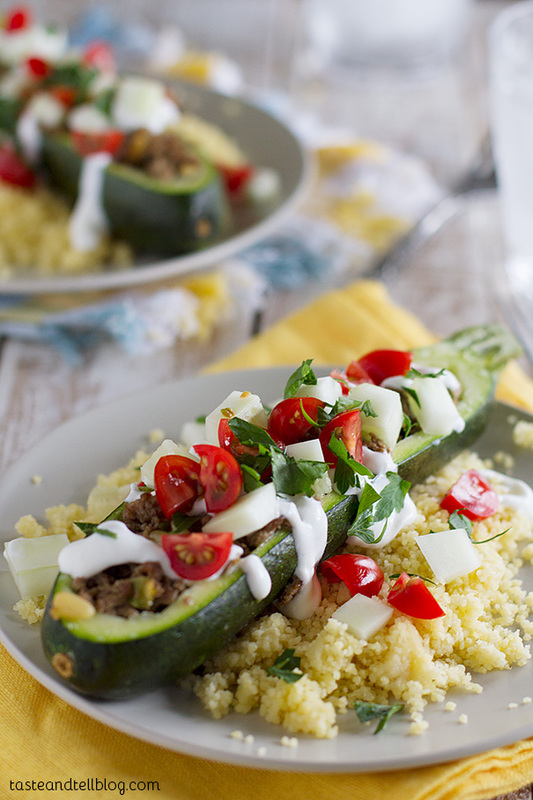 Zucchini boats are filled with ground beef, onions, and pine nuts before they are baked and then topped with yogurt, tomatoes and cucumber in this healthy dinner recipe. 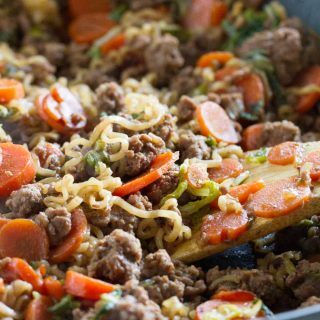 While the oven is preheating, heat a large skillet over medium-high heat and add the ground beef. Cook until browned and cooked through, breaking it up as it cooks. Transfer the beef to a bowl, leaving the drippings in the skillet. To the skillet, add the green onions, pine nuts and garlic. Saute for 3 minutes. Stir into the bowl with the beef and add in the lemon zest. Season with salt and pepper. Cut a 1/4-inch strip off the top of each zucchini. Use a melon baller or a spoon to scoop out the seeds, leaving a 1/4-inch border. 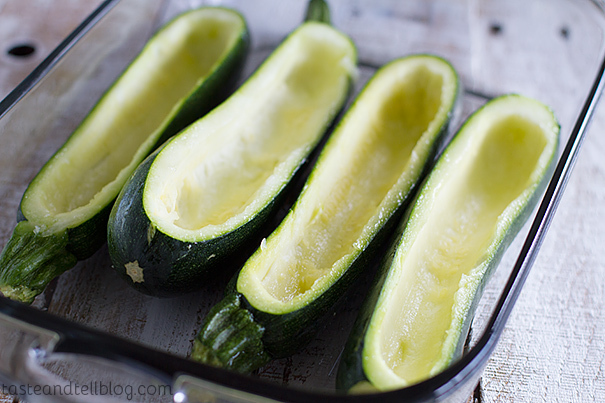 Place the zucchini, cut side up, in a baking dish with sides. 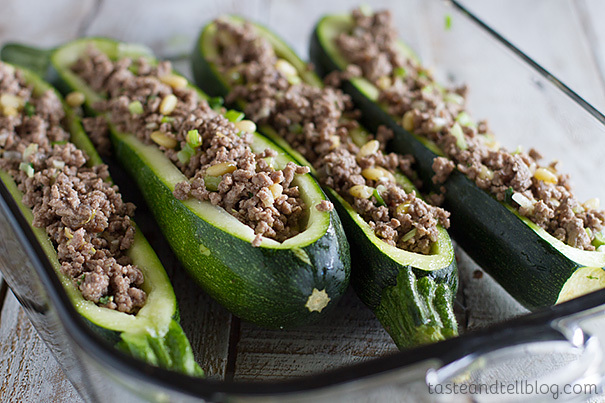 Divide the beef mixture between the zucchini, filling each of the boats. Pour 1/2 cup of the chicken broth in the bottom of the baking dish, cover with foil, and transfer to the oven. 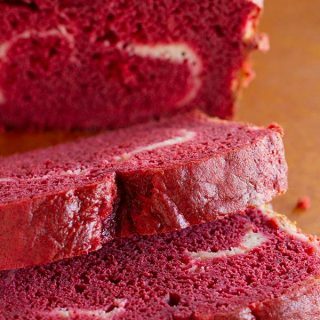 Bake until the zucchini is tender, about 30 minutes. Meanwhile, bring the remaining 1 1/4 cups of chicken broth to a boil in a small pan. Add the olive oil and the couscous and stir to combine. Cover the pan with a lid and remove from the heat. Let stand for 5 minutes, then fluff with a fork. When ready to serve, divide the couscous between 4 plates. Top each with a zucchini boat. Top with the yogurt, tomatoes, cucumber and parsley. Love a creative meal like this! 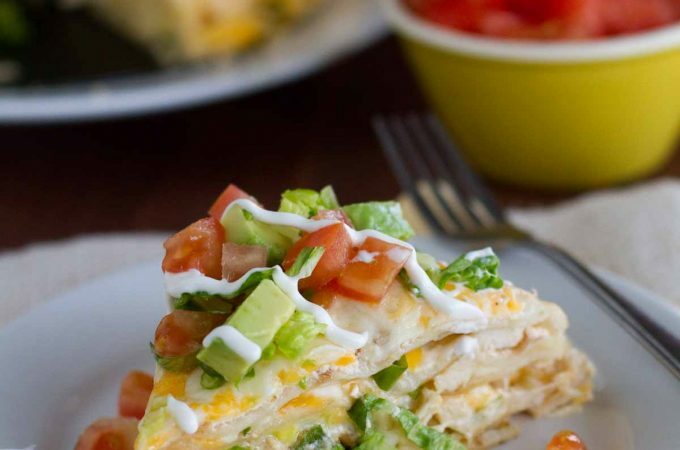 Sometimes I get in a rut with meal planning…at those times, I need to remember recipes like this. A fun change-up from the usual! Such a fun meal for families! 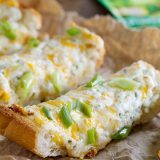 Love zucchini boats! Love how easy this dish is! And so pretty! Pinned! Finally! Someone like me who does not want to let go of summer. Good recipe to underscore that. Wow you do a great job cleaning out your boats. 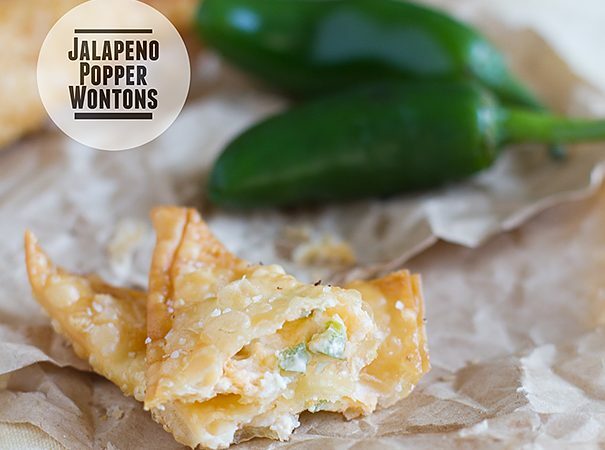 What a great way to use zucchini. It looks so vibrant and fresh! I’m actually ready for summer to get lost in the shadows of fall, but I kind of wished that we could keep our summer veggies year round! This looks like a great way to use the last of the zucchini. I will be skipping the pine nuts since my daughter has a tree nut allergy, but I still think they will taste delicious! These are SO pretty, Deb!! Love all of those flavors! Well I’m definitely glad these surpassed your expectations. 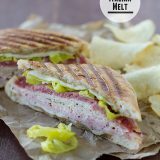 With all those mediterranean flavors, how could they be bad?! I made them but they did NOT taste good. To fix the problem (lack of flavour) I put feta cheese on top. Feta helped A LOT. 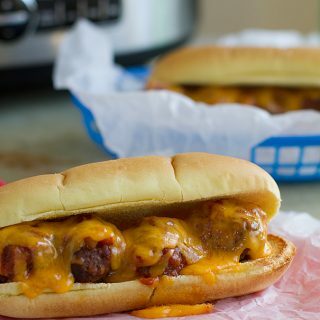 I will never make them again…to much time to carve the insides out of the zuc’s and then to have them taste awful only to saved by copious amounts of cheese. They claim to be “healthy” but I’m not sure when ground beef became healthy. I’m so sorry you didn’t care for them. My family and I enjoyed them a lot, but I know everyone has different tastes. Hopefully you’ll find another one that you like!